SINGAPORE: The new agency to oversee food-related issues will be formed in accordance with the new laws adopted by Parliament on Tuesday (12 February). The Singapore Food Agency (SFA), which was set up on April 1 and falls within the framework of the Ministry of the Environment and Water Resources, will consolidate regulatory oversight of food safety and security, currently divided between three public agencies. These are the Agri-Food and Veterinary Authority (AVA), the National Environmental Agency (NEA) and the Health Sciences Authority (HSA). All three are involved in controlling the food supply chain – from imports, from local production, from production to retail. Environment and Water Resources Minister Masagos Zulkifli said in a bill for the second reading in Parliament that Singapore will not be the first to adopt such a model "from farm to fork", and the government has examined other countries where one agency itself is responsible for food safety throughout the food supply chain. He is credited, he added, and the reorganization will encourage the provision of reliable food for Singapore. 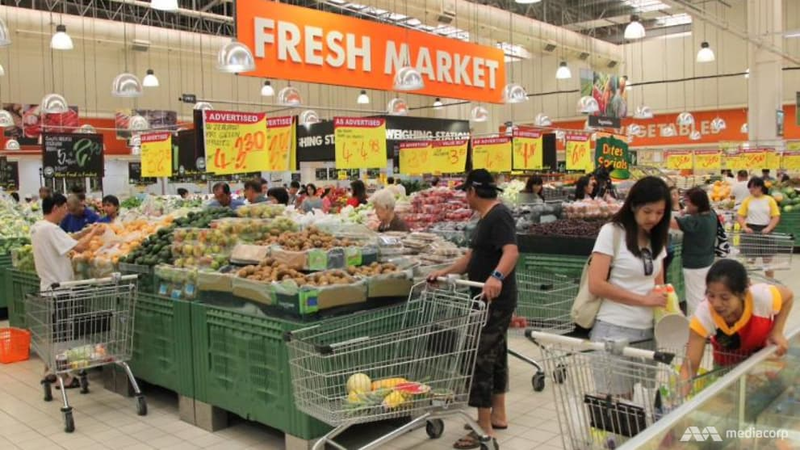 In the future, other measures will be introduced to improve food security in Singapore. While the country has worked well in the field of food security – an area of ​​fundamental importance for national security – Mr Masagos stressed that Singapore can not accept the current situation as self-evident. This is due to the rapid changes in the province for agriculture and food. The minister said that by 2050 the world's population will increase by an additional 30 percent to 9.7 billion, while global food demand is projected to increase by 60 percent. Essential sources for meeting food demand, such as water and energy, are becoming increasingly rare. Climate change will further exacerbate these threats, he added, and cited an example that is close to home. "Here in ASEAN, one of my colleagues shared with me that the impact of climate change is already felt and caused more frequent and worse droughts and floods in the delta of the Mekong River, which is a" bowl of rice "in Asia, he said." Rice production can be reduced by more than 50 percent. " "These are real threats and they can hurt us badly because we import more than 90 percent of our food." The growing complexity in the global food supply chains has also made it difficult to safeguard food security in Singapore by increasing "potential failure points where pollution can enter the food chain." Given the fact that food is subject to multiple processes involving different countries before the consumer arrived, Mr Masagos pointed out that it was "more difficult to determine the source of the problems when they occur". "Was the cause of food poisoning due to poor hygiene in a restaurant or hotel? Is this a consequence of a high level of pesticides on raw ingredients? Pollutants introduced in the production process of packaging and canning? Do quality and safety deterioration during transport? " "Such challenges will be strengthened. Complex supply chains will develop as climate change affects production, "said Masagos. By consolidating existing NEA, AVA and HSA capabilities, the SFA will be able to "fully respond to food safety incidents wherever they occur in the food supply chain," the minister added. He then explained that, in case of food poisoning, a single team would oversee the entire food supply chain and conduct investigations – from accreditation of overseas farms to imports, to intermediate processing with central kitchens and dealers, and finally to proper storage and preparation at the point of sale. "This will enable the SFA to respond faster in order to trace the source of contamination," he said. With regard to food security, the new measures will require key foodstuff importers to draw up plans and preventive strategies to mitigate the impact of food supply disruptions. He talked about Malaysia's recent forecasts of limiting exports of some seafood, as well as restricting or stopping exports of eggs to Singapore, said this would not be the last time Singapore is facing potential food import disruption. "Therefore, we must continue to diversify our resources to import food and not be too dependent on a single source," the minister said. In addition to regulatory oversight, SFA will also participate in the transformation of the local food industry. This will be achieved by exploiting new opportunities – including new methods of food production and new food products – to increase food resistance and to develop Singapore into an agri-food hub. "Among the uncertainties facing the agri-food landscape, our goal is to take the opportunity for Singapore to change our nutritional challenges to our strategic advantage … in order to ensure food supply, transform the agro-food industry, develop our local businesses and ensure good employment in Singapore. Just like we've turned our vulnerability into water into an opportunity, "said Mr Masagos. Members of the Parliament supported the bill and some describe the rationalization of functions in a single agency as a step in the right direction. Members, among them Melvin Yong (Tanjong Pagar GRC) and Mr. Gan Thiam Poh (ang Mo Kio GRC) have recently reported a large amount of food poisoning and asked how SFA could strengthen the food safety regime in Singapore. In his response, Mr Masagos said that the creation of a single agency could help deepen food safety expertise, given how the National Food Science Center would soon fall into the framework of the SFA. The design of the SFA will also include activities related to food safety threats, such as providing a single contact point for the public, providing feedback that will combine tracking and business operations. Photo file by the Minister of Environment and Water Resources and Minister of Muslim Affairs Masagos Zulkifli. According to the minister, this will enable the new agency to identify and correct critical points throughout the supply chain and respond more rapidly to food safety. MEPs also highlighted the field of food security, with Mr. Saktiandi Supaat (Bishan-Toa Payoh GRC) asked how the government exploited business organizations to constantly seek new and reliable sources of supply. Ong Teng Koon (Marsiling-Yew Tee GRC) has referred to possible disruptions in the import of eggs and seafood in the country and asked how the SFA can better handle such incidents without causing an alarm. In this regard, Mr Masagos replied that the SFA would ensure food security through the development and strengthening of three national strategies. This involves upgrading an existing AVA component to diversify sources of imports, reinforcing efforts to develop agri-food ecosystems, as well as supporting domestic companies to expand to the rest of the world.